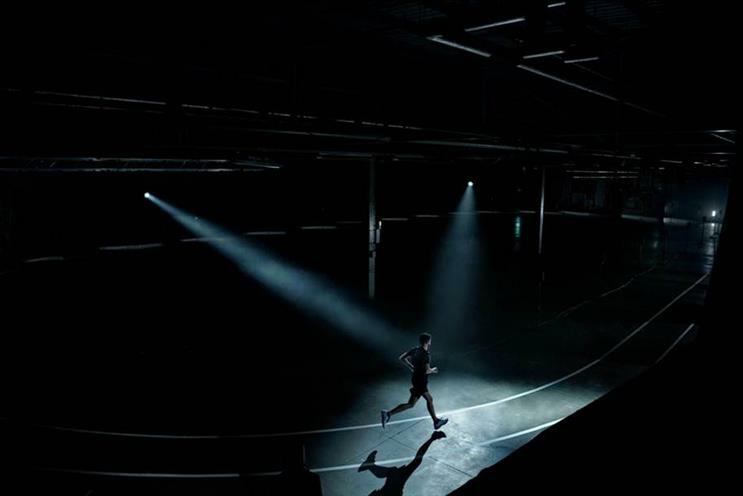 Asics, the sportswear brand, has created a running track to "train the mind" and encourage runners to focus. "The Asics blackout track" is designed to remove all distractions including tech, music, scenery or a finish line. The only support the brand is providing is its latest shoe, the Gel-Kayano 25. The track in Printworks, East London, will feature a series of events to show that you need the strongest mind – not legs – to complete the distance. This includes a "10k mental marathon" which is an experiment to show how important mental strength is. The campaign has been created by PR agency Edelman and production studio Unit9. Paul Miles, global chief marketing officer at Asics, said: "Asics was founded on the belief that a sound body fuels a sound mind, so this campaign goes right to the heart of who we are as a brand. "Our promise is to bring our founder’s vision to life in the modern-age – where negative distractions of the mind can prevent us from reaching our potential and going the distance."